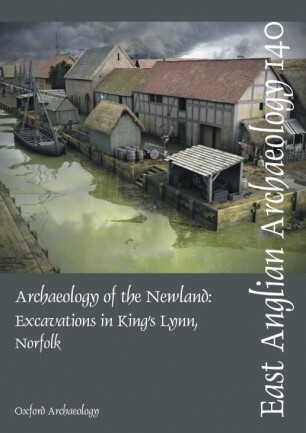 Oxford Archaeology (OA) carried out a programme of archaeological work in King’s Lynn integrated with redevelopment of the Vancouver Centre and construction of the Clough Lane multi-storey car park. Despite extensive modern construction, archaeological features, structures and deposits of medieval date (12th–15th centuries) were recorded along the existing frontages of Broad Street and New Conduit Street. Archaeological deposits, building foundations and yard surfaces of late medieval/post-medieval date (15th and 16th–18th centuries) were recorded in localised areas in the car parks to the rear of Sainsburys’, the rear of Broad Street and to the south west of New Conduit Street. 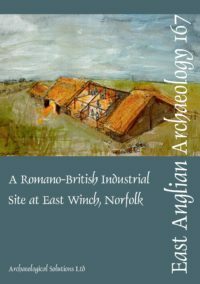 In addition to the archaeological remains, burials were exhumed and re-interred from a Quaker Cemetery to the north of New Conduit Street and a Baptist Cemetery to the rear of Broad Street. Piezometers were installed in order to carry out a two-year monitoring programme on the physical and chemical effects of the development’s piled construction on the underlying, and otherwise unexposed, reclaimed marine and estuarine sediments.